Now Available: Fresh-Made Kettle Chips! You can now choose either fries OR chips with any Melt sandwich! 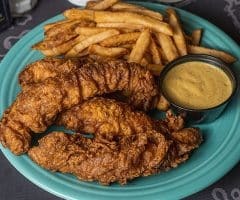 Hand-battered chicken tenders, french fries or kettle chips, and 1 dipping sauce (choose from BBQ, buffalo, chipotle ketchup, cowboy, ranch, sriracha ranch, or sweet mustard). 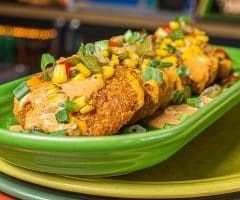 Fried green tomatoes, fire-roasted corn salsa, southern herb remoulade. 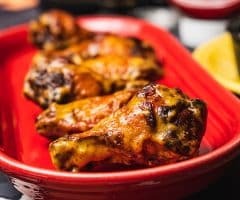 Fresh chicken wings double fried and extra crispy, tossed in one of our 11 delicious signature sauces: buffalo, BBQ, sweet mustard, sweet chipotle, spicy thai chili lime, sesame peanut, kung pow, korean BBQ, garlic herb romano, diablo dry rub, or Melt awesome sauce! Ranch or bleu cheese with celery available on the side! 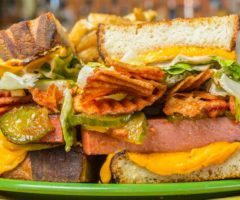 Thick-cut all-beef bologna, sweet & spicy pickles, house-made ketchup chips, tangy ballpark mustard aioli, romaine lettuce, American cheese. 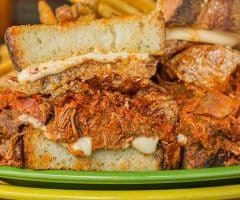 Pulled pork simmered in our authentic Mexican sweet and spicy pineapple al Pastor sauce, refried beans, crispy seasoned chicharrones, pepper-jack queso sauce. 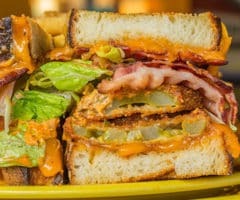 Fried green tomatoes, hickory bacon, southern herb remoulade, romaine lettuce, cheddar cheese. 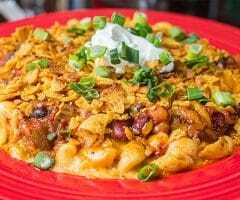 Spicy chorizo, 4-bean vegetarian chili, crushed Frito corn chips, cheddar cheese sauce, shredded cheddar, sour cream & scallions. 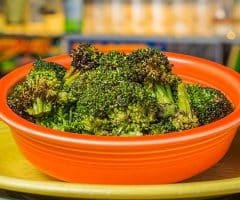 Roasted broccoli, garlic herb butter. 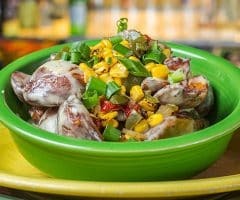 Roasted & fried redskins, pepper-jack queso sauce, cilantro, corn salsa. 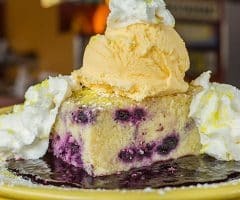 Homemade blueberry lemon bread pudding served warm over a sweet blueberry sauce, then topped with vanilla ice cream, real whipped cream and lemonade sugar. 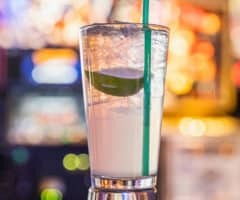 Absolut Vanilla vodka, fresh lime juice, and house-made vanilla bean syrup combine to create a wonderfully tasty, refreshing cocktail. 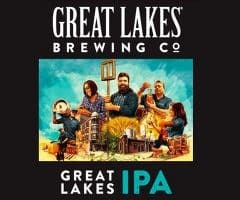 (Melt Bar and Grilled & Absolut are partners in the “Skip the Straw” campaign, and Absolut will be donating to the Great Lakes Foundation all spring and summer for each Absolut cocktail sold).